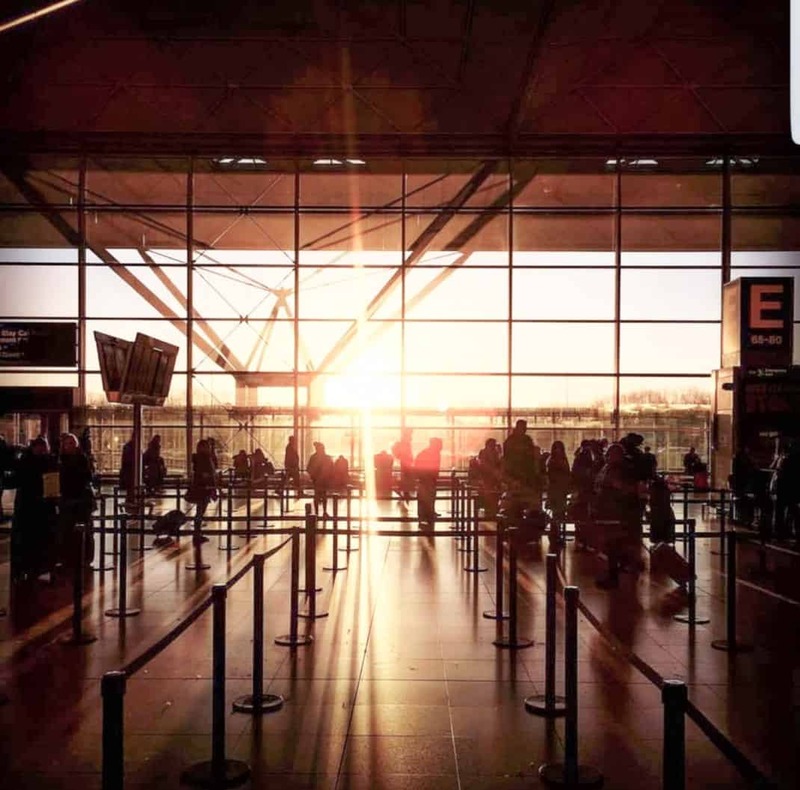 London has 6 international airports – one in every corner of the city, meaning there’s an abundance of transport options from London airports to the city centre. Most airports lie on the outskirts of London and are easily reached by train or bus. Heathrow is London’s biggest and also busiest airport. In fact, it’s even the second busiest airport in the world based on international passenger traffic. It’s also one of the best placed London airports, just 23km from the city centre. So it’s no surprise that Heathrow is also the most well connected airport in the city. 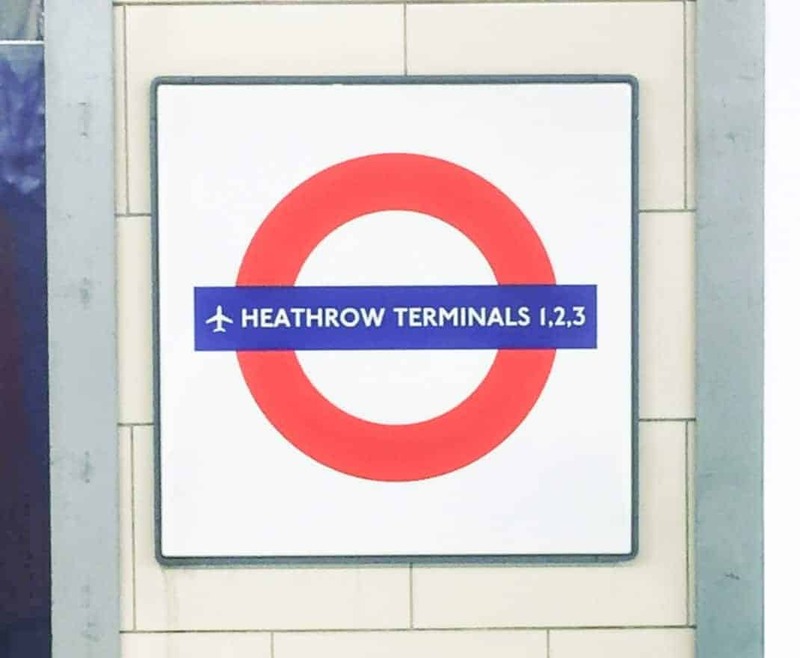 It’s the only airport that can be reached by the London Underground Network (the Tube), as well as its own Heathrow Express train. London City Airport is the most convenient airport, located just east of London City in the Royal Docks. However, flights here are limited due to the short runway. Only smaller aircraft can land and take off at City Airport, making it a popular choice for city flights to other European destinations. It’s also popular with private charter planes. Stansted and Gatwick and Southend airports are all easily reached by express trains, while Luton can be reached by a regional train line followed by a short bus journey. 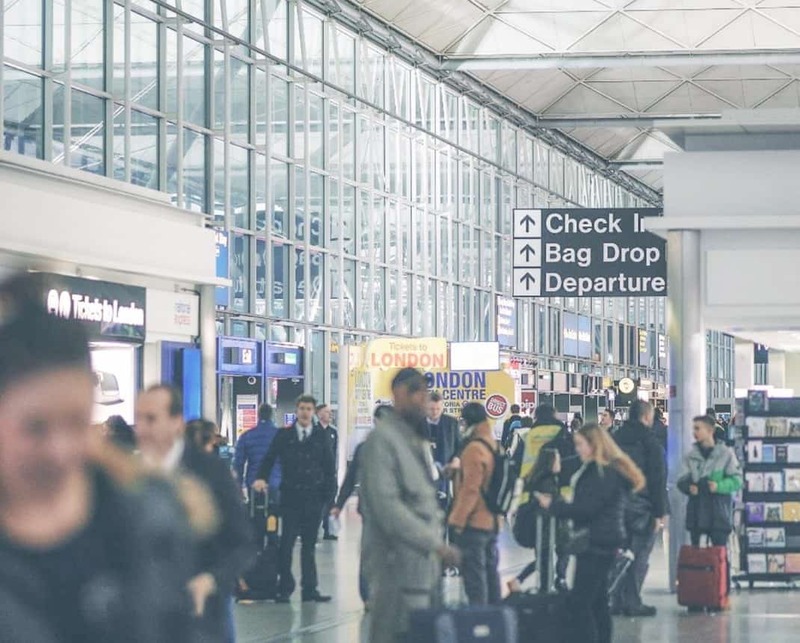 Read on for the best transport options from London airports to the city centre. The most popular and cost effective way to get to London from Heathrow is via the London Underground. The Piccadilly line (navy blue) runs from Heathrow’s terminals right through central London. If the Piccadilly line doesn’t stop at your tube station, it’s also easy to switch onto almost any other line in London along the way. A one-way ticket from Heathrow (Zone 6) into Central London (Zone 1) costs £5.70. 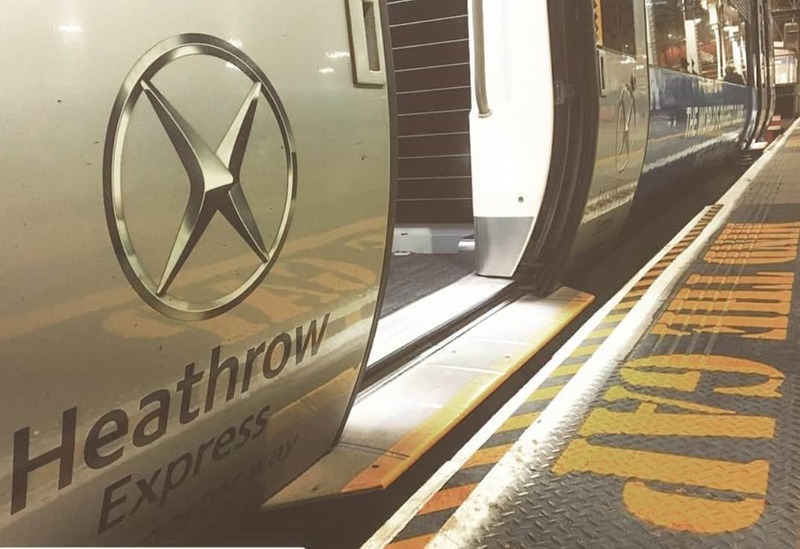 The Heathrow Express is the fastest way to get from Heathrow to central London. 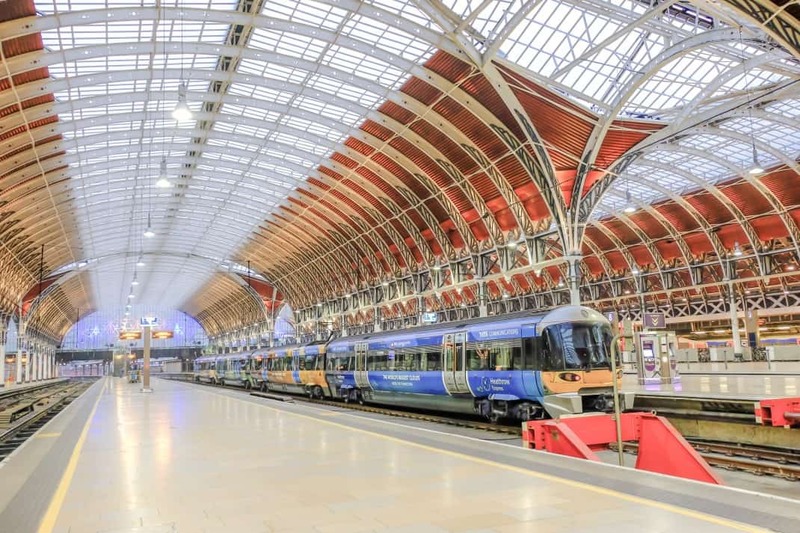 This express train will get you to Paddington Station in West London in just 15 minutes. The earlier you book a ticket, the more you can save and the cheapest advance fare starts at £5.50 one-way. However, you can generally expect to pay around £25 for a one-way ticket purchased on the day. A taxi from Heathrow Airport to central London can take approximately 45 minutes. Of course this is highly dependent on traffic in London, which is normally quite heavy. 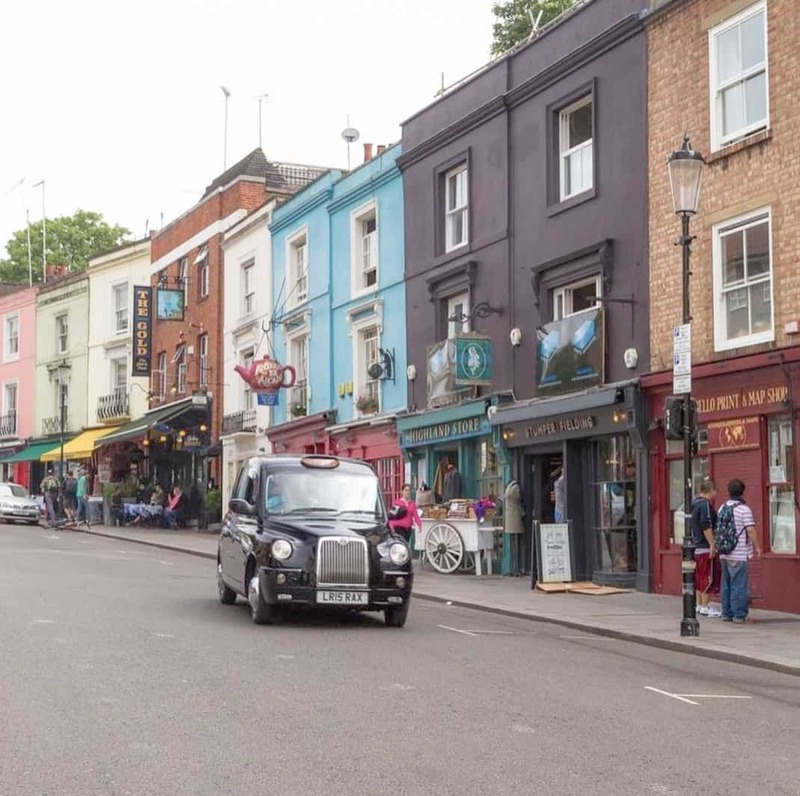 However, London’s famous Black Cabs can use bus lanes, making it a speedier trip – especially in central London. You can also use private car companies including some that can be booked from the Airport terminal. 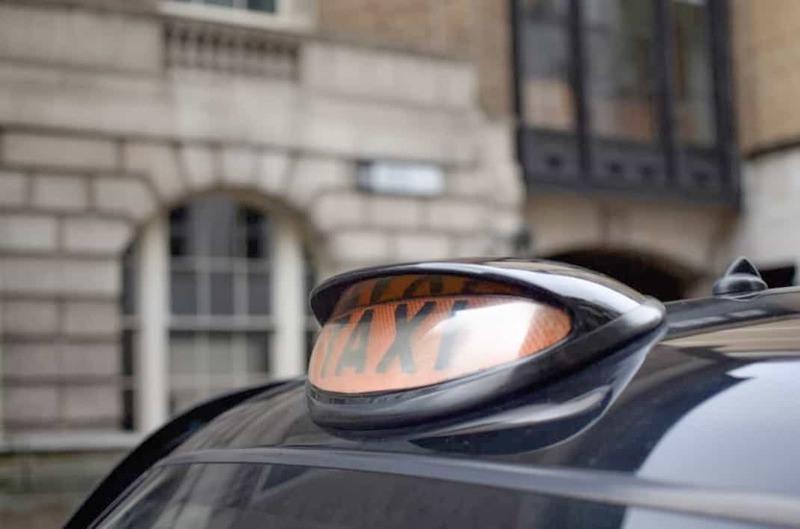 These fares start from around £60 and since London’s Black Cabs can fit 5 people in the back, taxis are particularly cost-effective for groups. The Gatwick Express is the fastest way to get from central London to Gatwick Airport. This express train will take you from Gatwick’s train station to Victoria station in central London in just 30 minutes. The Gatwick Express also runs up to four times an hour and will cost between £15-£20 one-way. However, you can often get a discount by booking online via their website, buying a return or by booking in advance. 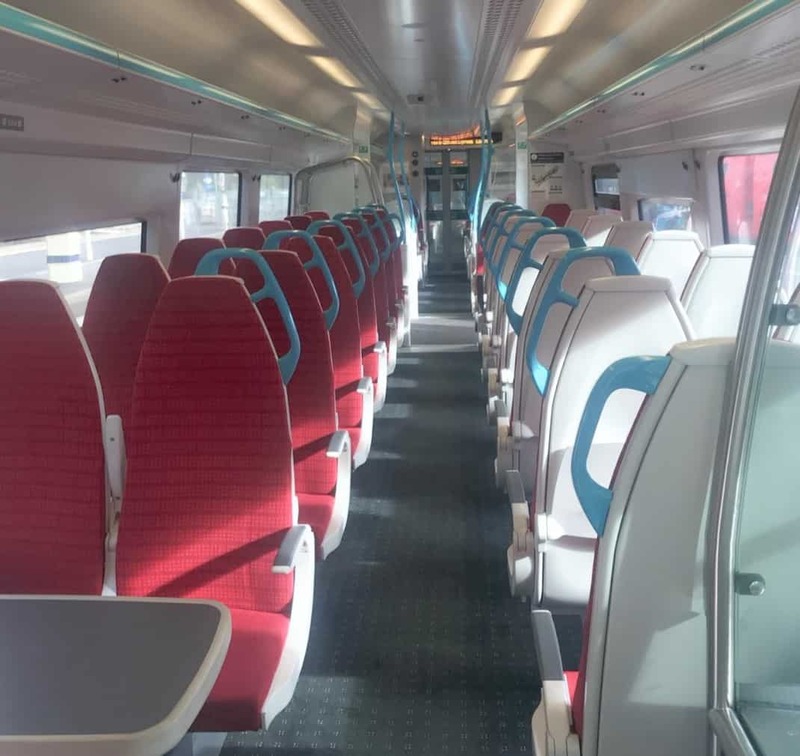 You can also take a non-express train like Southern or Thameslink from Gatwick station which typically costs less and takes only a few minutes longer. Gatwick is connected to over 100 different towns and cities in the UK via coach and bus services. 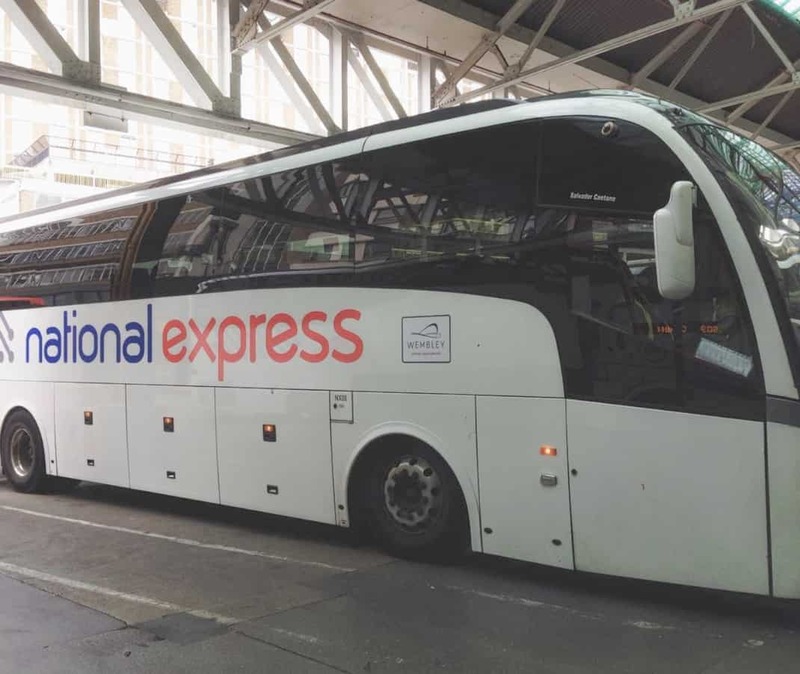 Coach services such as National Express or EasyBus depart regularly from Gatwick Airport and take 85 minutes, on average, to get to central London. While it’s not the fastest way to get to London, a bus ticket only costs around £8 one way. Black Cabs are easily accessible from Gatwick Airport at the official taxi rank just outside. A taxi to central London can take about 75 minutes with good traffic. While it’s much longer than an express train, it’s more convenient during off-peak times when trains and buses aren’t running. A taxi to central London can cost anywhere from £90 upwards, depending on where you’re heading to. Stansted airport is found 68km’s northeast of central London. This popular airport is easily reached by rail. The Stansted Express departs every 15-30 minutes and takes just over 50 minutes to arrive at Liverpool Street Station. 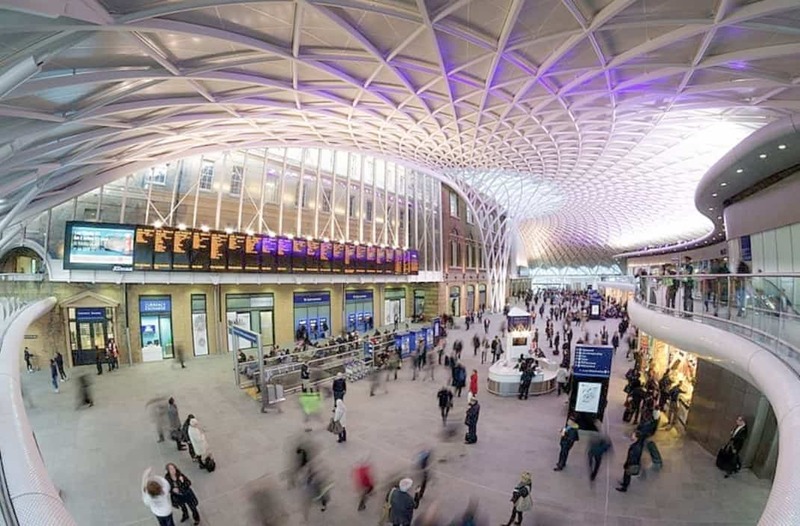 For those staying in central London, the Stansted Express is the fastest way to get there. Tickets purchased in advance start at just £7 one-way, however you can typically expect to pay £17 one-way on the day. Buses and coaches are another popular way to get to central London from Stansted Airport. National Express, Airport Bus Express and EasyBus all had services to and from the airport. A National Express bus can take you to Liverpool Street in 65 minutes, with prices starting at £5 one-way. National Express buses also have several other London desitnations and free wifi onboard. A taxi from Stansted Airport to central London can take approximately 75 minutes. 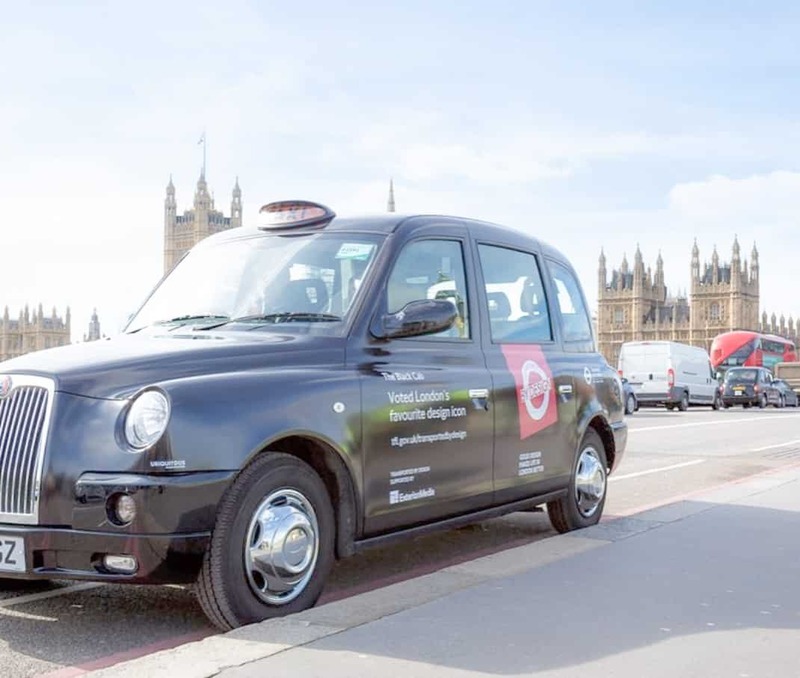 London’s famous Black Cabs can be found at the taxi rank just outside of the arrivals hall. You can also use private car companies including some that can be booked from the Airport terminal. Fares start from around £80 upwards to get to London. 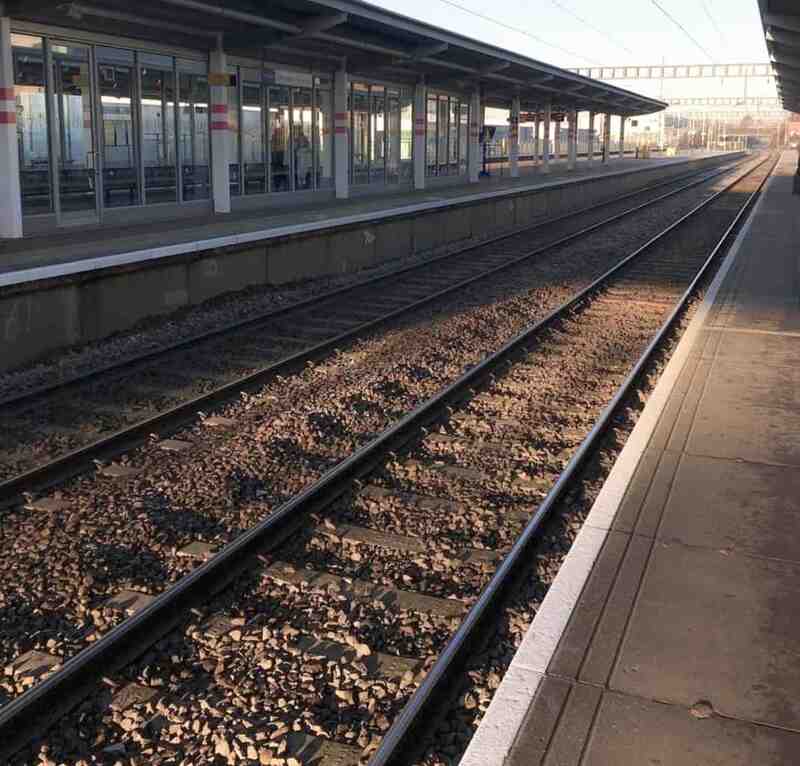 London’s Luton Airport is the only airport without a railway station at the airport itself. However, a quick 10-15 minute shuttle bus journey will get you to Luton Parkway station. From there you can catch a train into central London in about 30 minutes. Trains depart every 10 minutes on average and a little less regularly in the night and early morning. A fare also costs about £20 one-way, purchased on the day. Buses are another popular way to get to central London from Luton Airport. The bus bay can be found just outside the Arrivals terminal. National Express and Green Line run fast and regular services to areas of central London. A National Express bus can take you to central London in 50 minutes, with prices starting at £5 one-way. A taxi from Luton Airport to central London can take approximately 60 minutes. Black Cabs can be found at the taxi rank just outside of the arrivals hall. You can also use private car companies including some that can be booked from the Airport terminal. Luton’s official taxi partner is Addison Lee, a private hire taxi, which can be found just next to the Private Hire area on arrival. Fares start from around £70 upwards to get to central London. 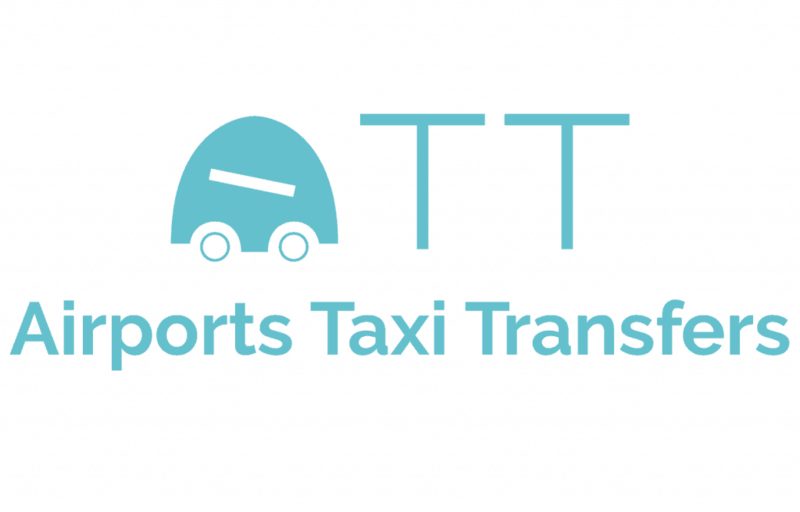 Airports Taxi Transfers is a platform that compares prices from different airport transfer service providers and offer the lowest price for each category of vehicles, from sedan cars, minivan to full size buses according to the needs of customers. Discounted airports taxi transfers is also available on weekdays for some destinations.